Two years after nearly losing her life in the Boston Marathon bombing, Annie David is still far from “Boston strong.” Instead she remains isolated and defeated—plagued by guilt over her niece, crippled in the blast, and by an antique ring alongside a hazy hero’s face. But when she learns the identity of her rescuer, will he be the hero she’s imagined? And can the long-past history of the woman behind the ring set her free from the guilt and fears of the present? As a woman alone in a rebellious town, Liberty Caldwell finds herself in a dangerous predicament. When a British lieutenant, Alexander Smythe, comes to her rescue and offers her employment, Liberty accepts. As months go by, Alexander not only begins to share his love of poetry with her, but protects Liberty from the advances of a lecherous captain living in the officers’ house where she works. Mounting tensions explode in the Boston Massacre, and Liberty’s world is shattered as her brother, with whom she has just reunited, is killed in the fray. Desperate and alone, she returns home, only to be assaulted by the captain. 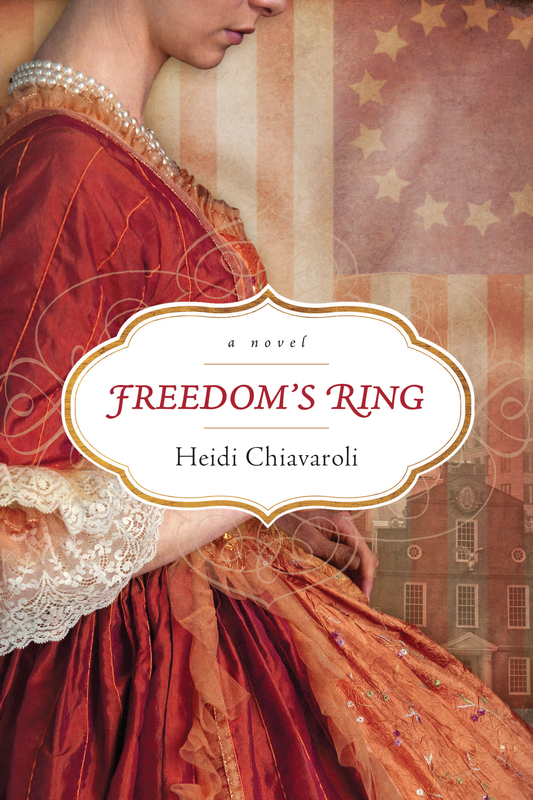 Afraid and furious toward redcoats, Liberty leaves the officers’ home, taking with her a ring that belonged to Alexander. A 2018 Christy Award finalist!